Just under 2 hours from Cape Town, on top of the Piekenierskloof Pass, the ‘Gateway to the Cederberg’, Hebron is a working flower farm with accommodation (B&B & self-catering), restaurant & farmstall, and a West Coast Wine & Rooibos Tea Tasting Room. 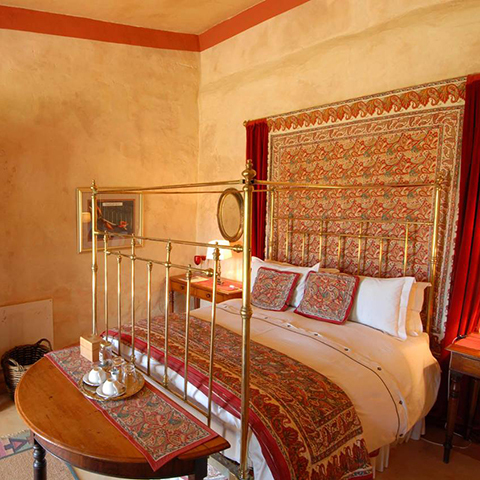 We have six beautifully appointed rooms, each individually decorated with family antiques. Set amongst the tranquility of a citrus orchard, cultivated wild flower fields and neighbouring Rooibos plantations, Hebron is the perfect escape from city life. 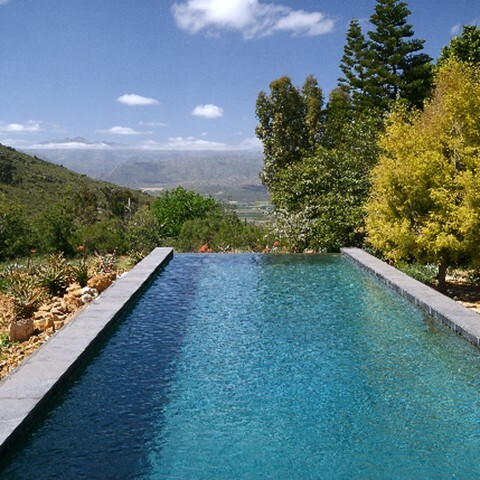 Three of the rooms overlook the Sneeuberg mountain and Olifants River valley, where sitting on the veranda or cooling off in our rimflow swimming pool, taking in the view and listening to the abundant bird life, is compulsory! 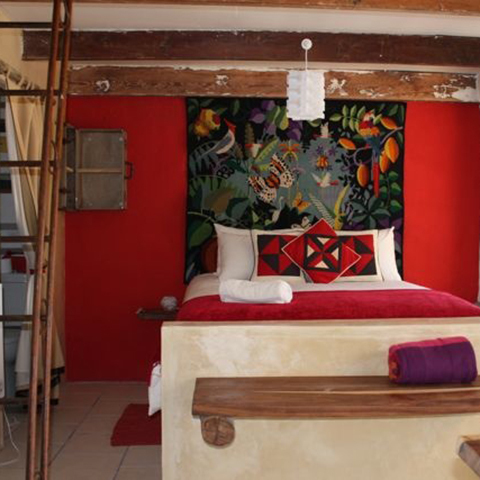 The other 3 rooms, including 2 honeymoon rooms, one complete with Victorian bath, share a quiet courtyard, in the shade of 3 large fig trees. We’re also child & pet friendly, relaxed and like nothing better than to help our guests enjoy the peace and splendour of this unique region. Our self-catering ‘Blomhuis’ eco-cottage is a straw-bale and thatch construction with a long verandah facing the mountain, equipped with hammocks, braais, shaded parking and recycling facilities. It is made up of 2 units that can be used individually or as one large cottage, sleeping up to 11 people. Indoors, the 2-bedroom larger unit boasts an antique 1930’s French fireplace and open-plan living area. The smaller unit has a loft & ladder for the kids.